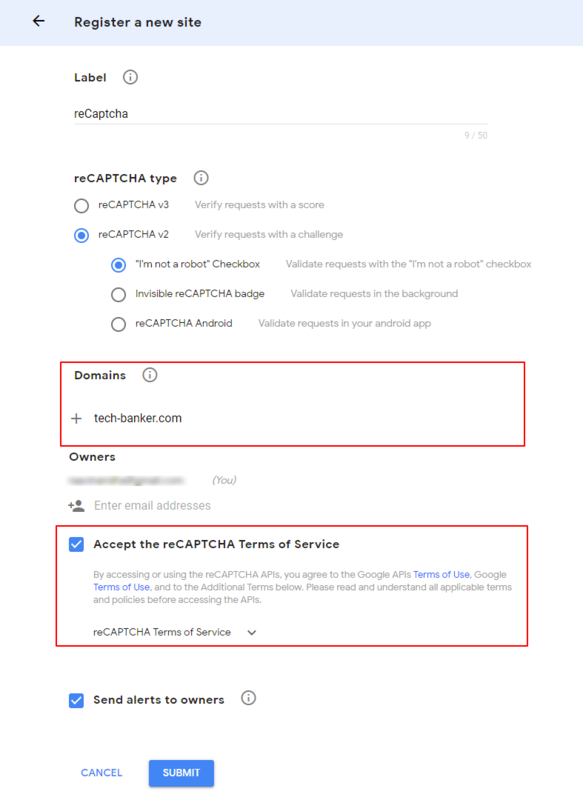 How to add Google reCaptcha API? Google reCaptcha is the solution to stop spam and abuse on your site. Google reCaptcha is the free service that protects your site from spam and abuse. Google reCaptcha uses modern Risk Analysis techniques to detect the bots. What happens at the backend is more significant as compared to a checkbox click. Google checks the mouse movements that make a difference between a human and a bot. It is easy to solve reCaptcha for humans but not for bots. 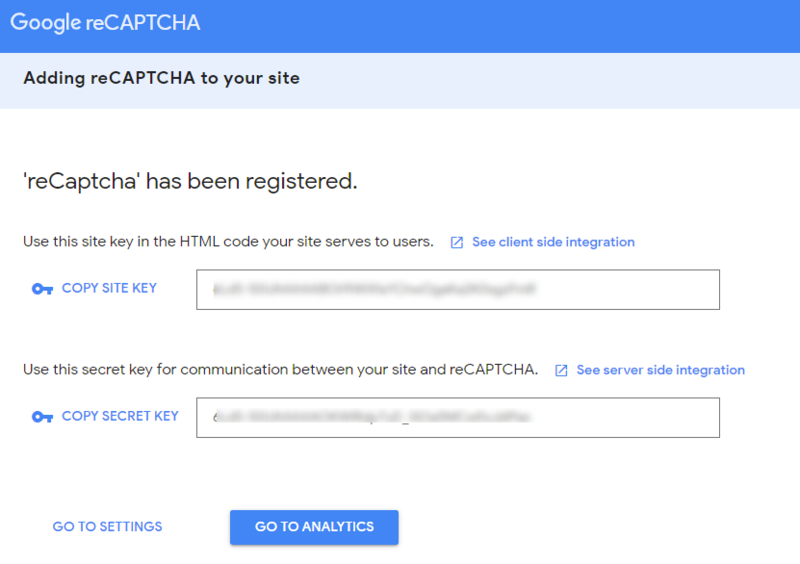 Google reCaptcha also uses algorithms of Google Analytics and Google Adsense to detect bots. Following are the simple steps which can help you to get your Site Key and Secret Key for Google reCaptcha. You can search for reCaptcha in Google search. 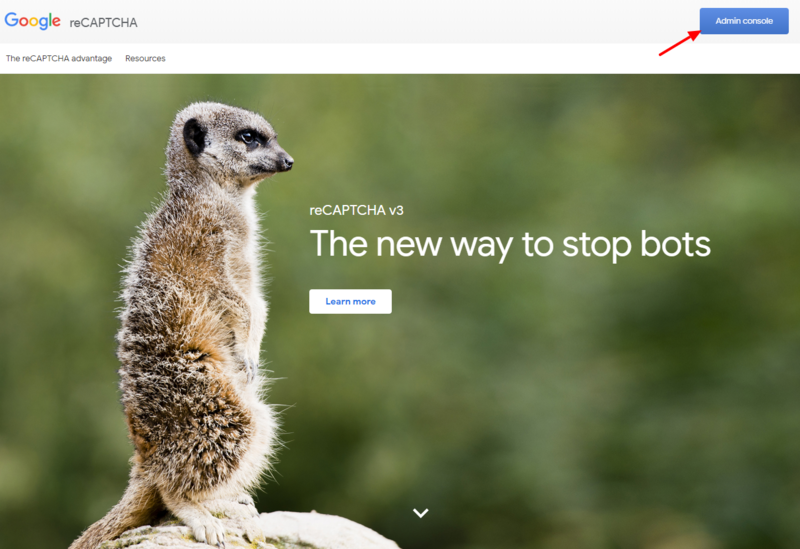 And you will find the reCAPTCHA: Easy on Humans, Hard on Bots – Google Website to generate reCaptcha or you can directly browse here. 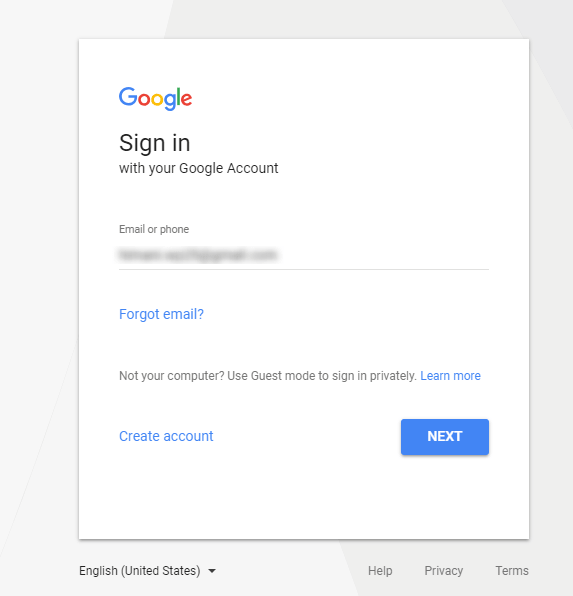 If you do not have a Google account, you will need to sign up for a Gmail account to get started. After you sign in to your google account it redirects you to next page. Click on the plus(+) sign on top right corner of your system. 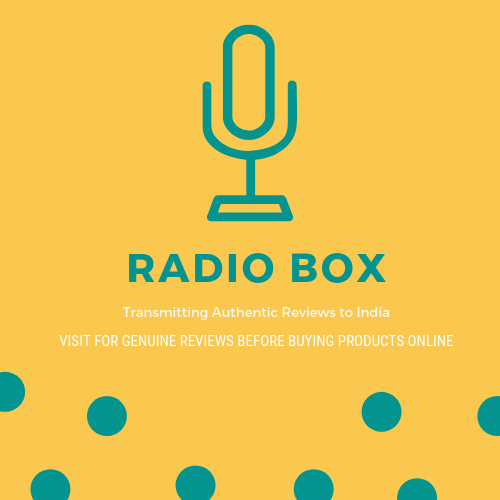 On the next page to register your site provide the details of your site. Choose the type of reCAPTCHA you want to display on your website. After choosing the reCaptcha, a box will appear where you have to enter the domain of your website. Now, accept the reCaptcha Terms of Services by clicking the checkbox. Here you will get your Google reCaptcha Site Key and Secret Key.